Do you or a family member suffer from migraines or severe headaches? Migraines can affect people of all ages, including children, and can completely interfere with the ability to function. Did you know Dr.Davenport may be able to help? 1. Migraines affect 36 million people in the U.S.
6. Children also suffer from migraines ‐ half of all migraine sufferers have their first attack before age 12. Migraines and severe headaches can also be caused by muscle tension related to your bite and jaw. The TMJ (temporomandibular joint) enables your jaw to open, close, and move from side to side. When the TMJ is not functioning properly, it can cause many painful issues, including dizziness, earaches, neck pain, and ‐ you guessed it ‐ tension headaches and migraines. If you suffer from frequent headaches, jaw pain, and/or migraines, talk to Dr.Davenport about your symptoms during your next visit. He will examine the alignment of your jaw joints, bite, and teeth. Digital x‐rays, if needed, can also be reviewed and may indicate the source of your tension. Since each migraine and headache sufferer is different, we take time to listen to your specific concerns and symptoms so we can offer you a treatment plan tailored to your specific needs. Our foremost goal is to help you achieve long‐term, whole‐body health. 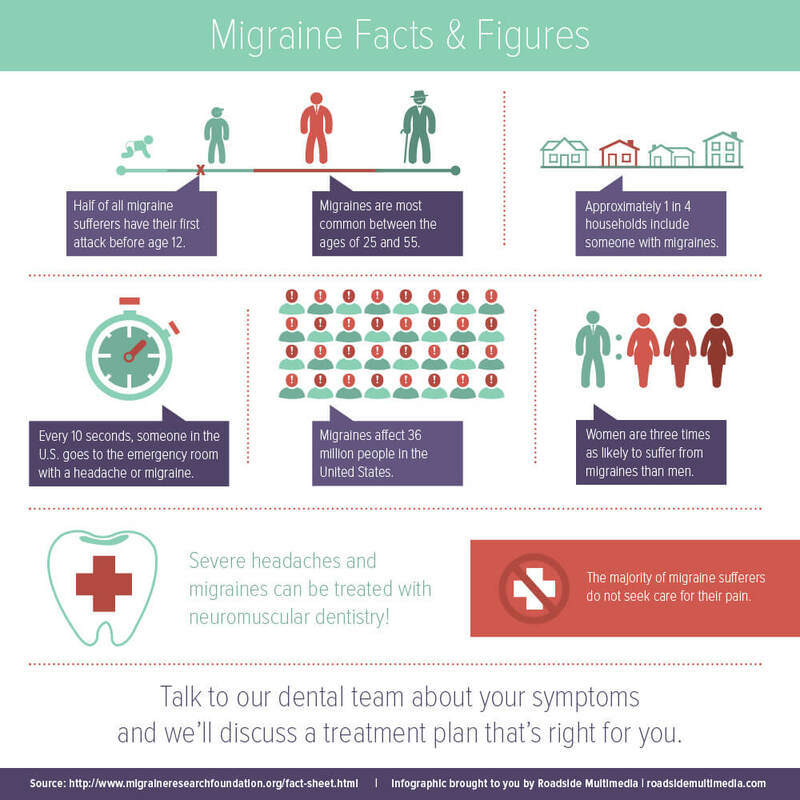 If you suffer from headaches, migraines, or jaw pain, don’t hesitate to call your dentist in Tucson at (520)-886-2546 to discuss your options!